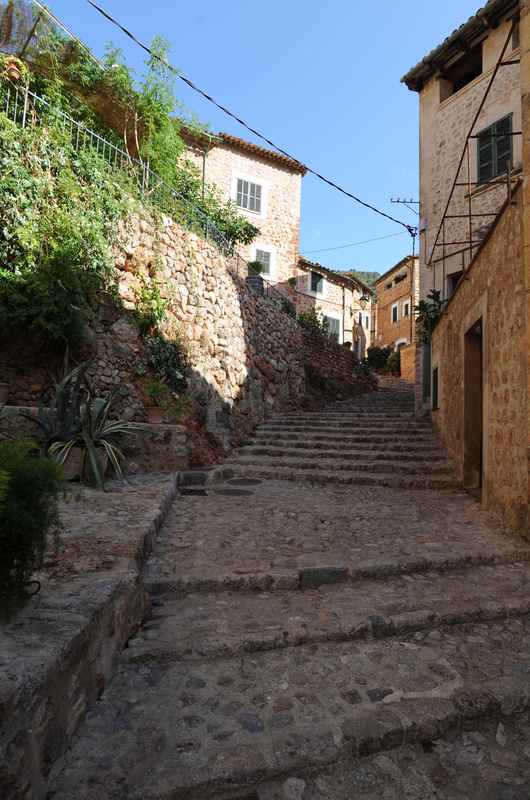 Fornalutx is considered by many as the most beautiful Majorcan village of the island. 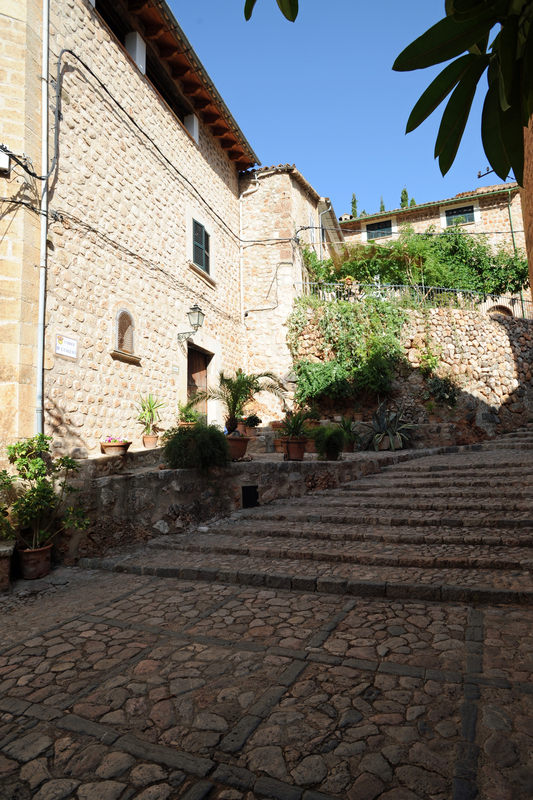 Fornalutx is also interesting for its landscape and its architecture. 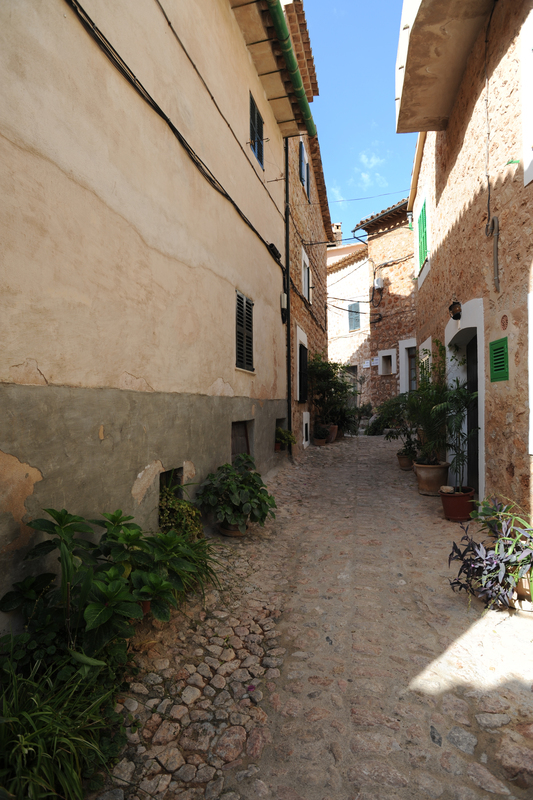 The village is characterized by its large population of foreign origin EU: nearly 25%. 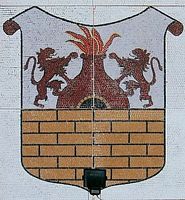 The name Fornalutx "Fornalucem" comes from "fornel" anvil or forge, with the suffix "-utx", a name Mozarabic, the Latin suffix "-emu". 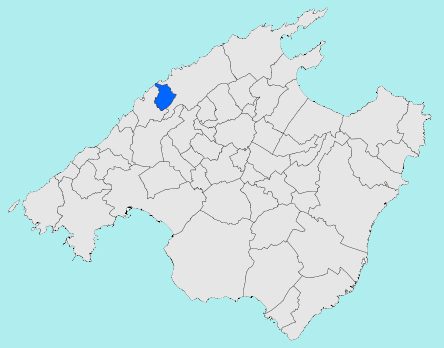 The origin of Fornalutx or "fornalugi" written in ancient documents form appears at the time of the Muslim conquest, like a small Moorish village is derived from the layout of the ancient streets. 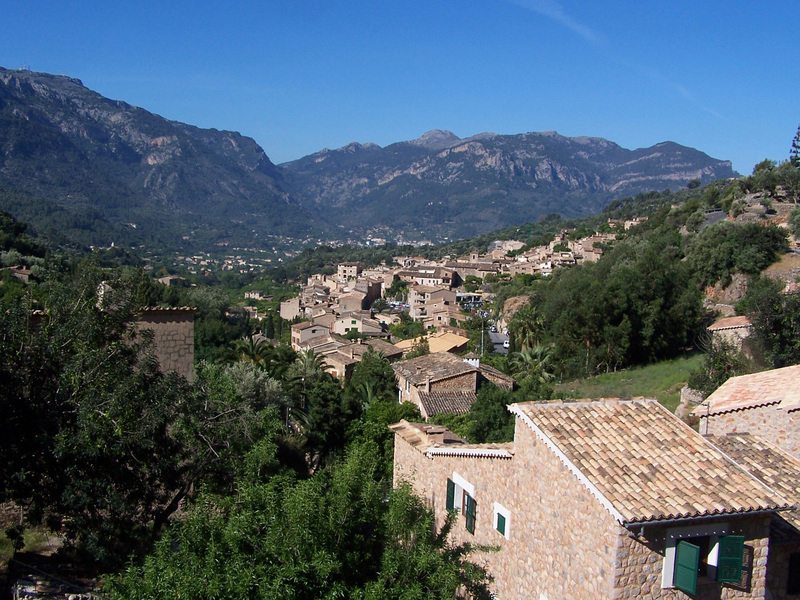 Fornalutx is centrally located in the Serra de Tramuntana, which extends over the entire length of the island and draws a deep valley starting from the Puig Mayor goes to Sóller. 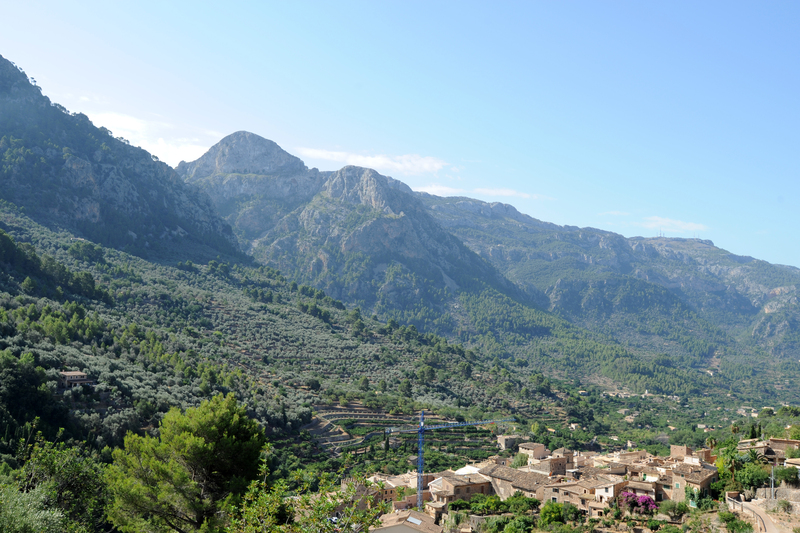 This mountain village has the distinction of being built on the slopes of the highest peak in Mallorca, Puig Major (1,445 m). The site is impressive. 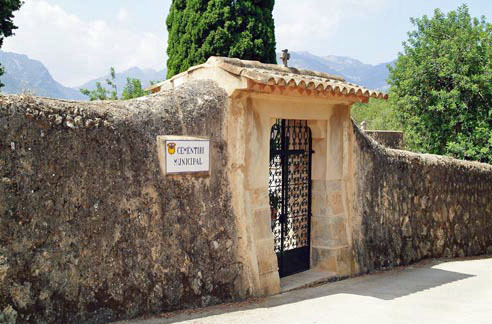 Ranked protected historic site in 1972, Fornalutx worth more than a visit. 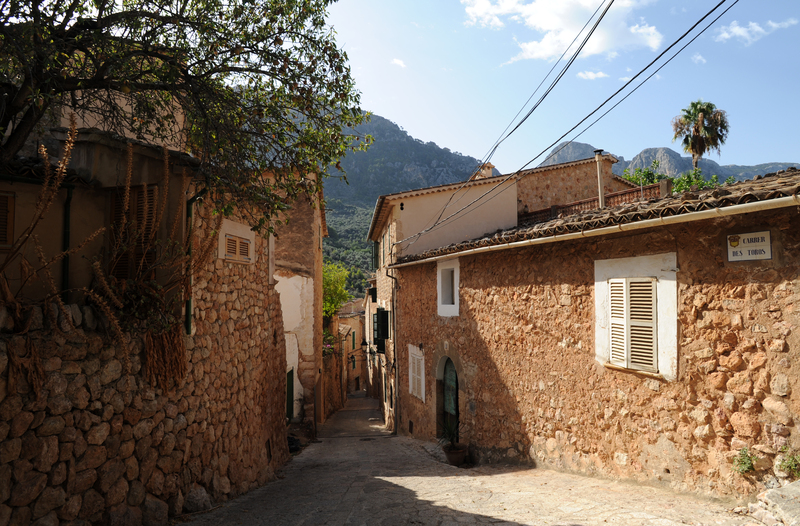 This small village is in a perfect state of preservation and rehabilitation. The architecture of the village is stone with red tile roofs, painted under the canopy of geometric patterns, with most buildings windows with wooden shutters painted green. 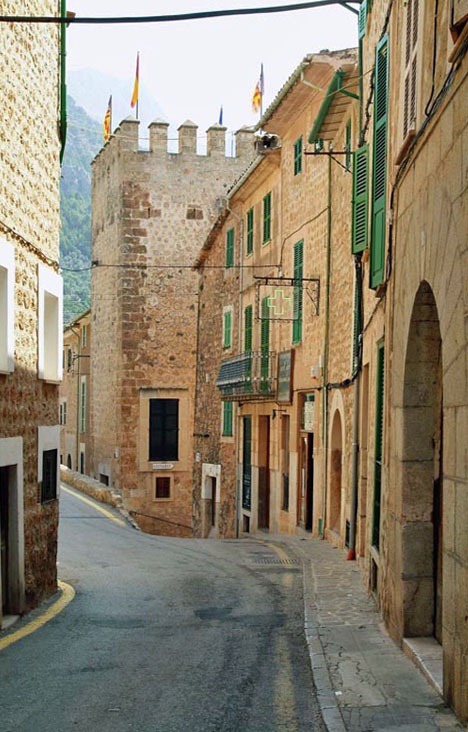 The stone facades of most houses have been exposed in recent years by removing the original plaster to give the buildings a more rustic appearance. 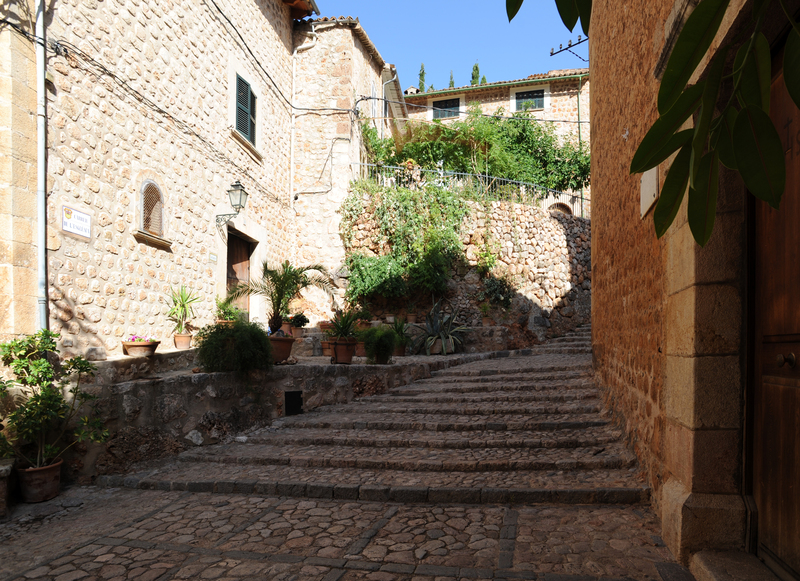 Built on different levels, many pedestrian streets are paved with grassy paths leading off into the orchards and farms to the north. 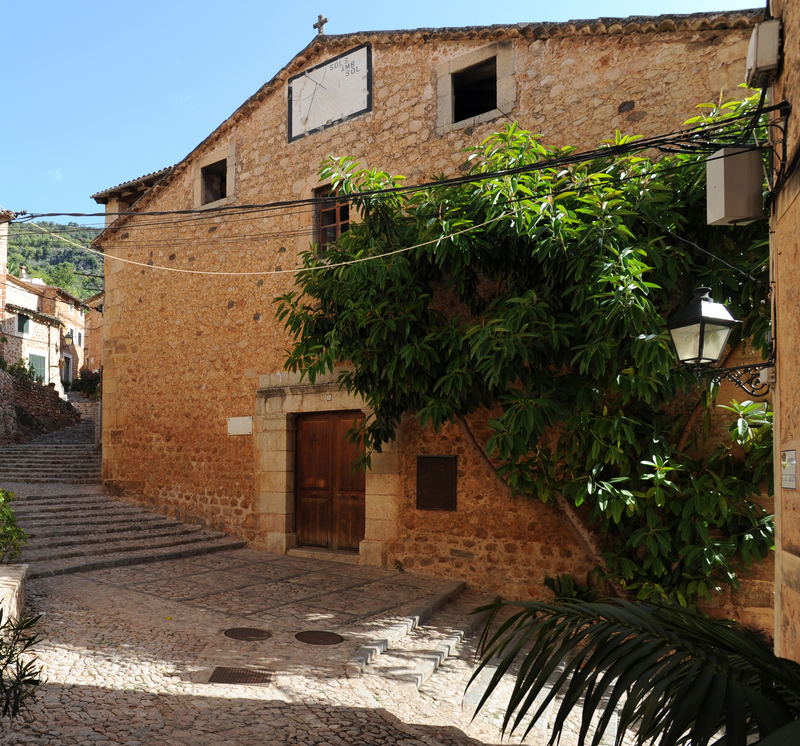 In 1983, Fornalutx received the second national beautification and improvement of the villages of Spain prize. 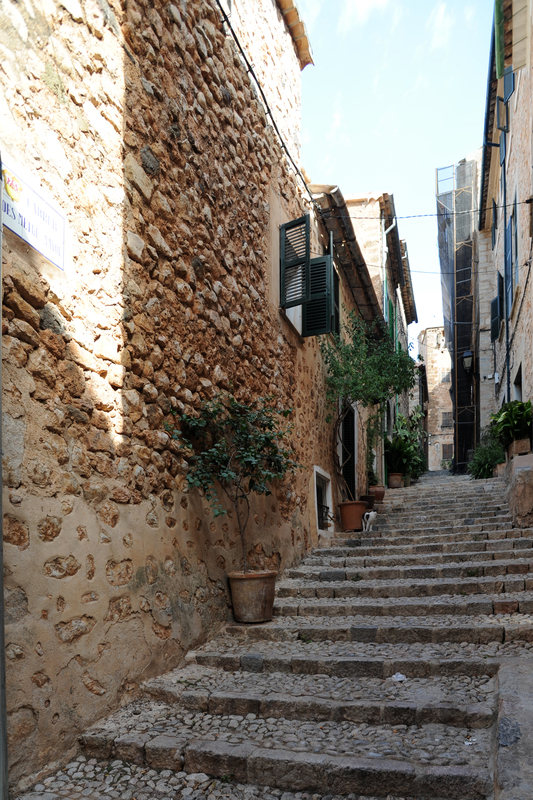 Here everything is in stone, paving streets with walls of houses. Even new homes are required to use the local ocher rock ornament. 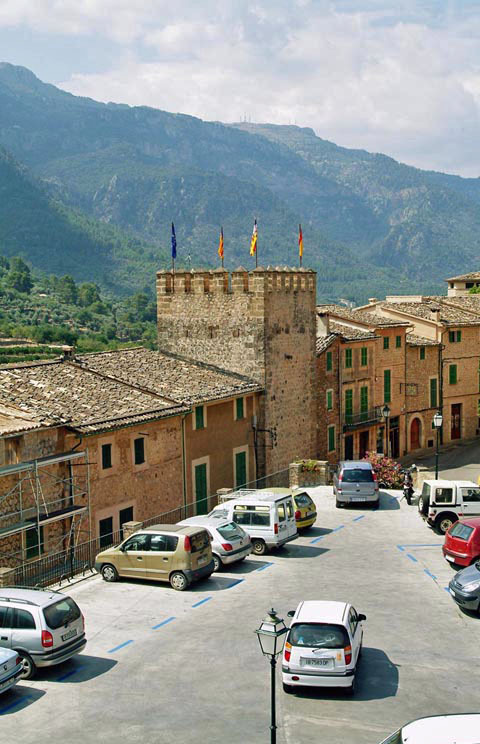 We can start by visiting Fornalutx the old square, crenellated tower defense Can Arbona the seventeenth century, on the east side of the village. 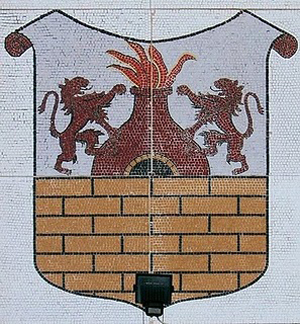 In immaculate condition, it is the only bulwark Fornalutx. By taking small steps which bypasses, we pass the town hall (Ajuntament) which we admire the pretty patio and then to the narrow wash with clean, fresh water (Lavadero de antaño). 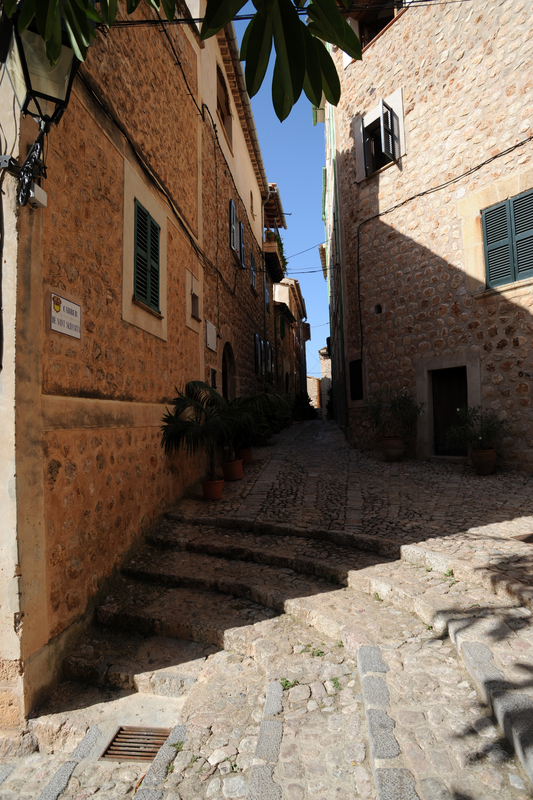 By taking the right carrer de l’Alba, we encounter two hotels, the Petit Hotel and the Hotel Rural Ca’n Reus. 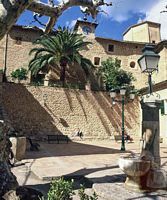 Ca’n Reus hotel is an old house restored in the early twentieth century in the lobby visible amazing testimonies styles Art Nouveau and Art déco. 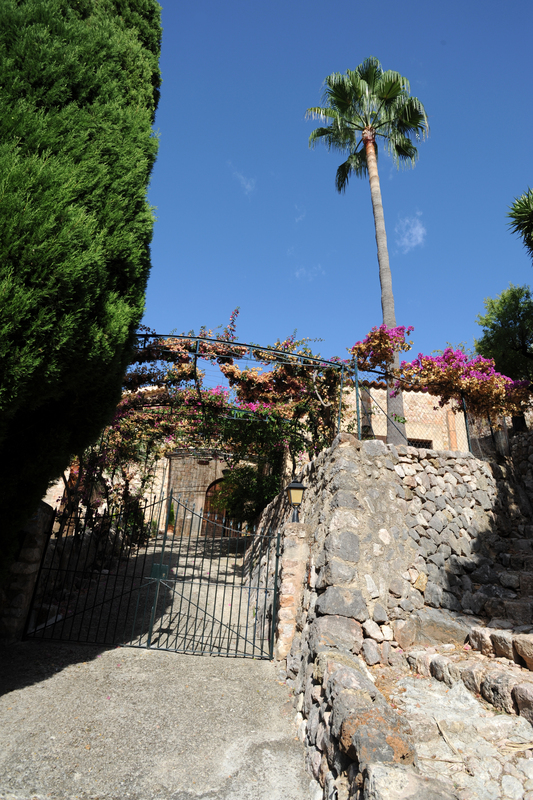 The candle lighting and decoration underline the exceptional character of the place. 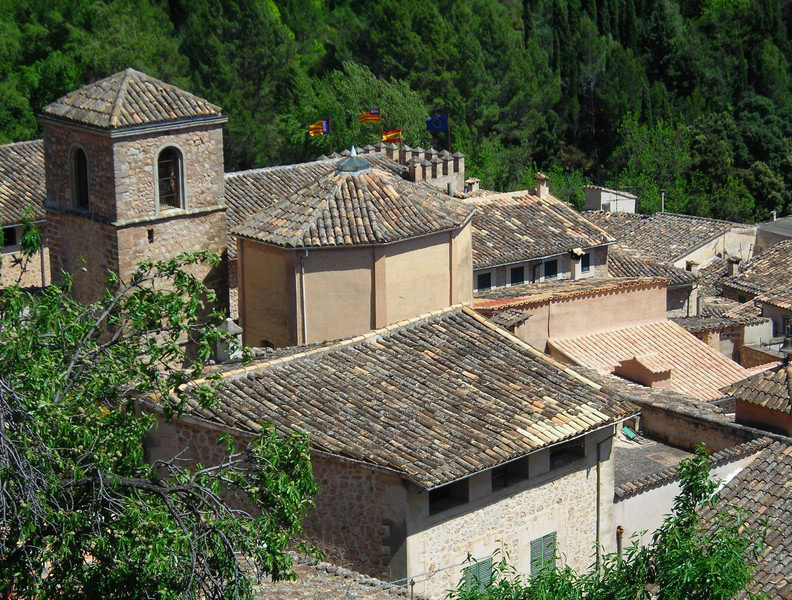 Next door, the Petit Hotel is in turn housed in the former convent of the Monges de la Caritat. 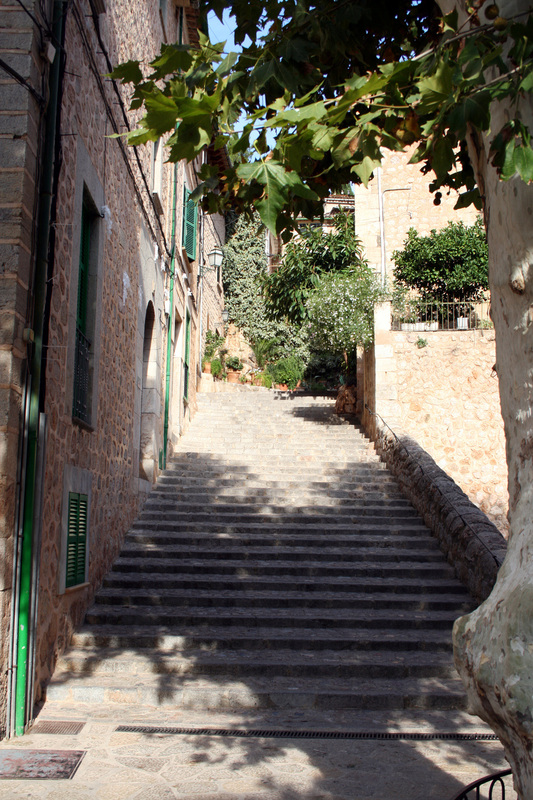 At the end of the carrer de l’Alba, one takes the left and follows the carrer de Sant Bartomeu then in the row, the carrer Bella Vista. 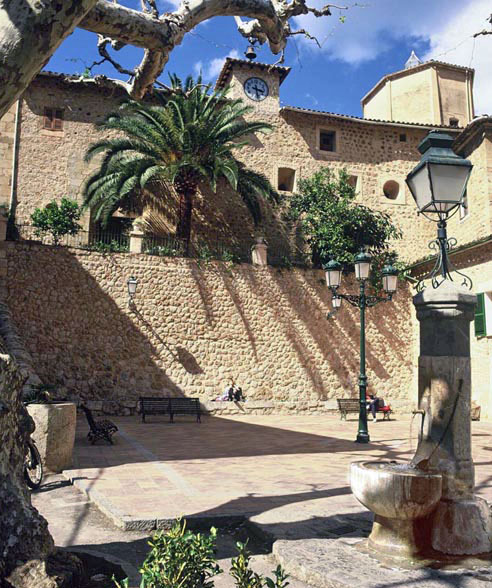 We can pause at the Creu, a small ordeal roadside surrounded by a stone bench. 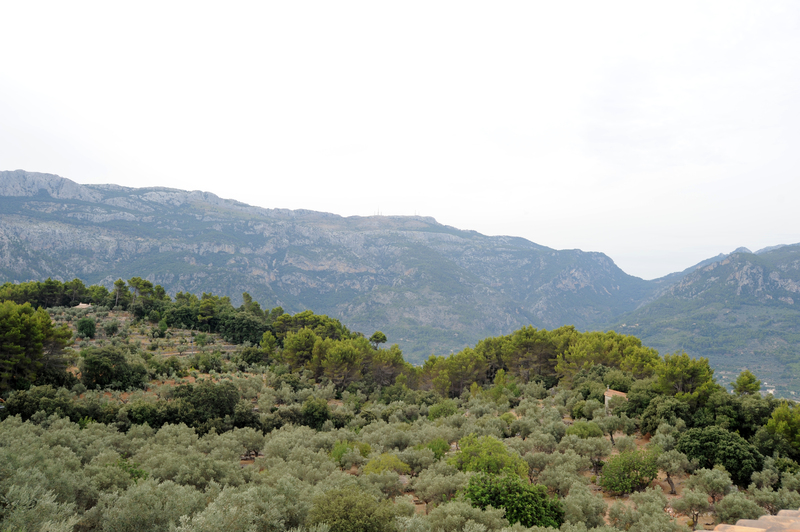 The view of the mountains and the valley is beautiful. 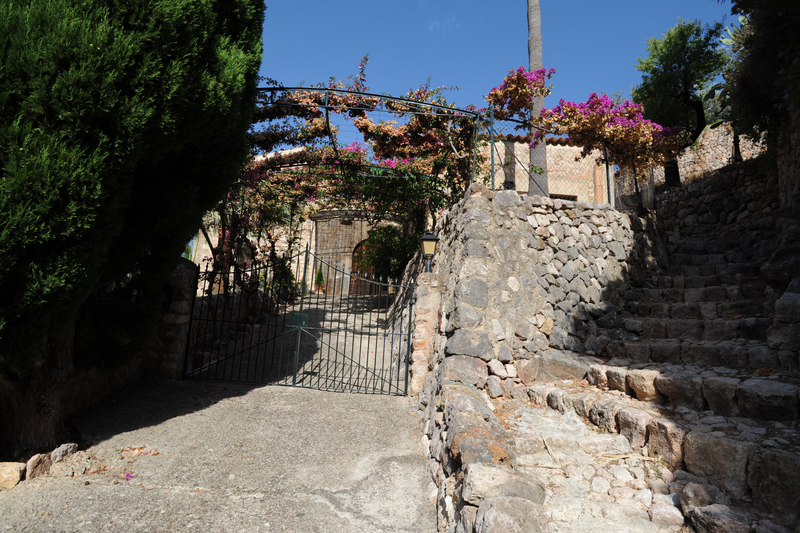 Going up by Nou Vial, one arrives at a small typical Mediterranean cemetery Fornalutx lost between the olive and almond trees: the calm and beauty of the site is moving. We return to the center by the carrer Alberti Arbonna and carrer de la Plaça. We arrive at the center Fornalutx, Plaça d’Espanya, shaded by plane trees and surrounded by two cafes and a general store. 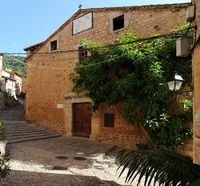 For the Spanish, the Church Street up to the church whose origins date back to 1229 but received its latest amendments in 1639 (hence the date engraved above the main gate). The church has a large sundial on the facade. Going down the carrer des Metge Mayol - which is a very long staircase that street - we pass two very typical houses of the village, Ca’n Borras and Sa Casa d’Amunt (beautiful gate and square tower). 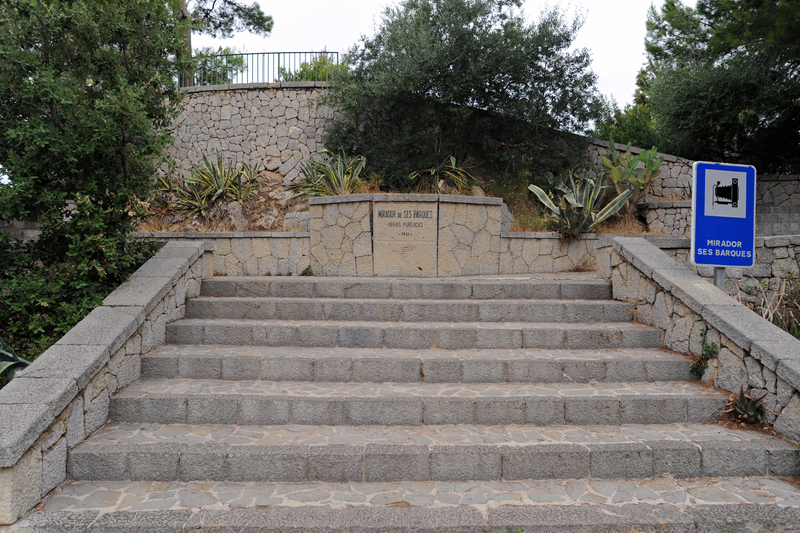 The starting point of this hike is about 3 hours Plaça d’Espanya. 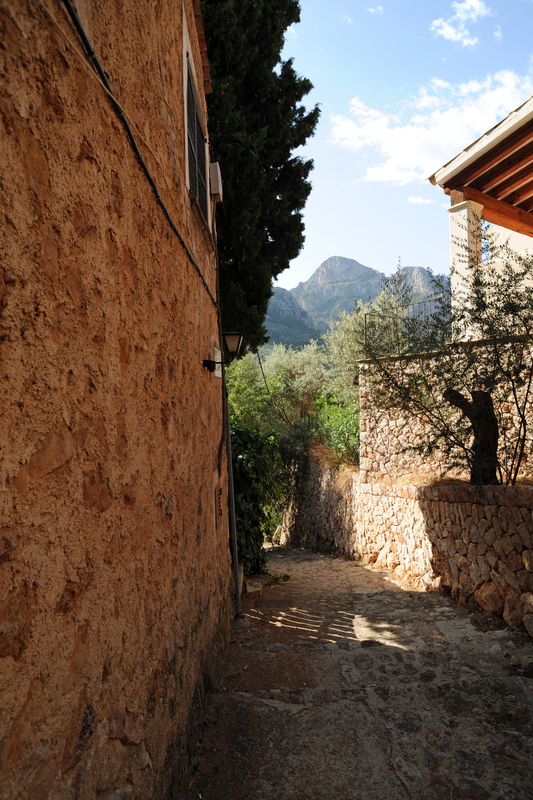 Continue the carrer de l’Església then Tramuntana, which transforms the way right out of the village up between the olive and orange groves, cross the road and follow the signs Sóller orientation wood. 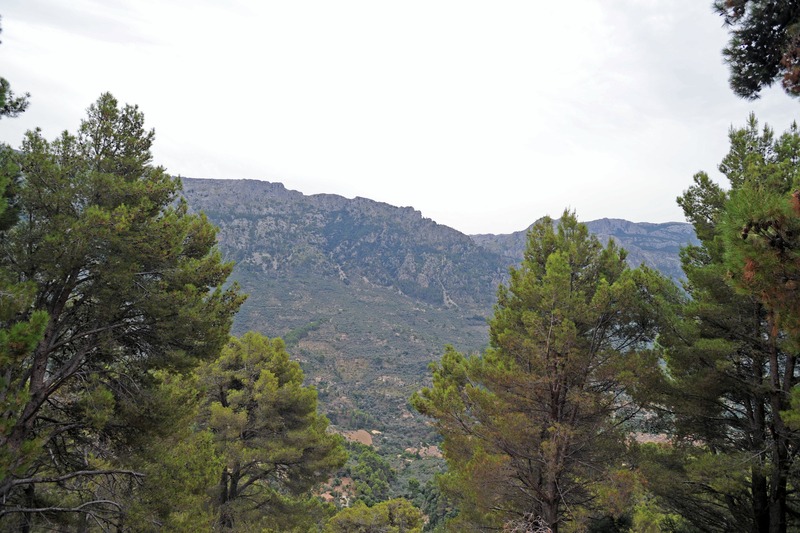 Fornalutx begins to unfold right, while the pines already gradually replacing other trees. 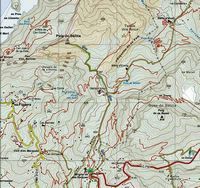 It then reaches the road Del Puig Major, keep right next to wood panel that leads under the pines and under the majestic oaks. 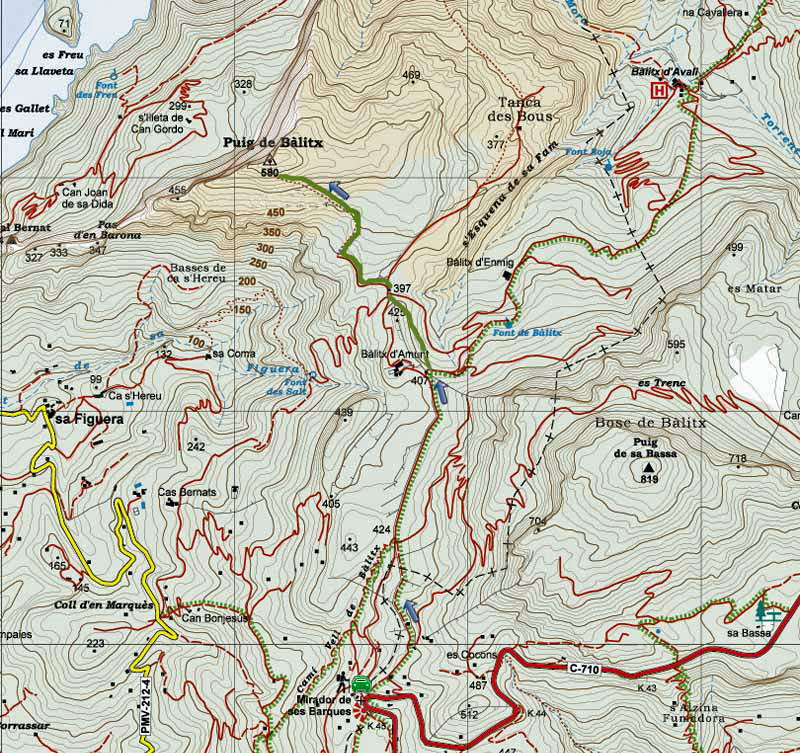 At the intersection, turn on your left, along a small water tank (to fight against fires). 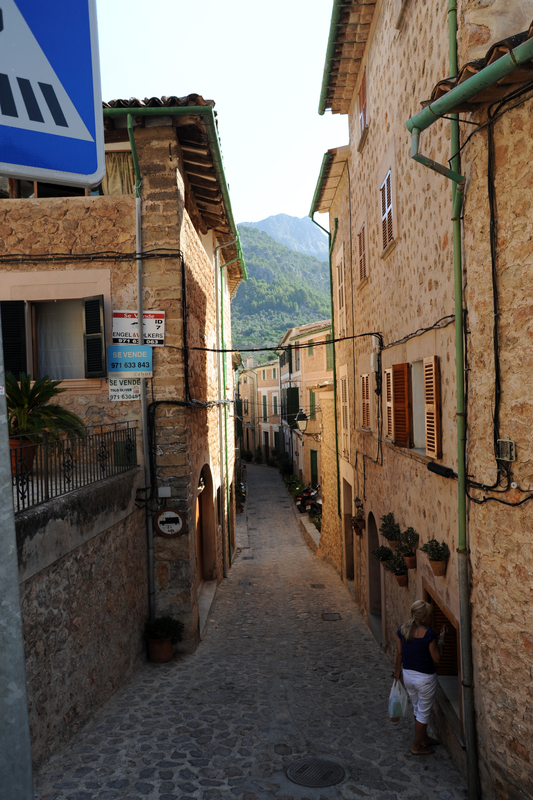 Place a small hill, then start the descent to Fornalutx. 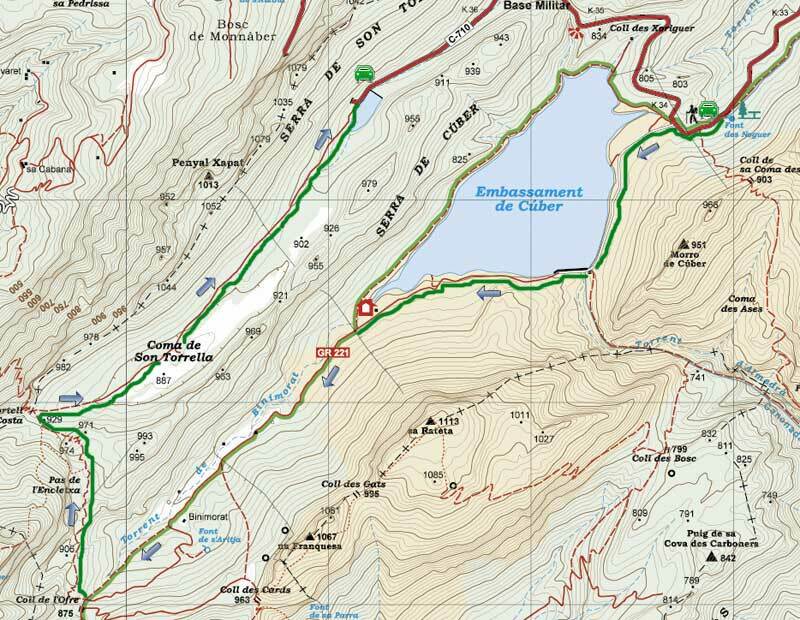 After some turns, you get on a road that is borrowed on 150 m. At the green barrier, take the paved road. It becomes cemented approach torrent that must be followed to a barrier. Cross the barrier and cross the stream. 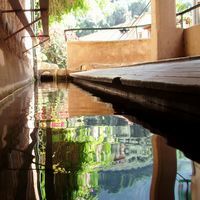 Continue to follow the river, the remains of a waterwheel and an old pipe is encountered. 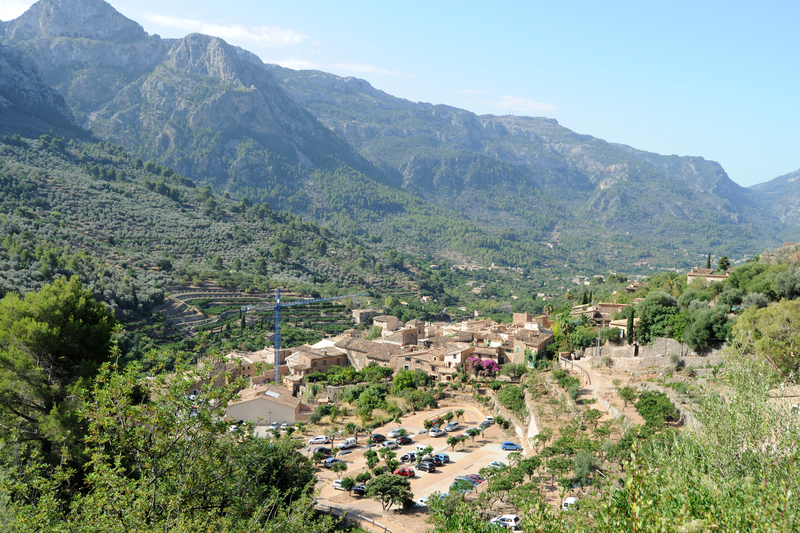 Gradually, the terraced orchards, and the road from Sóller to Fornalutx and finally, the way in which it is out of the village at the beginning of this hike. 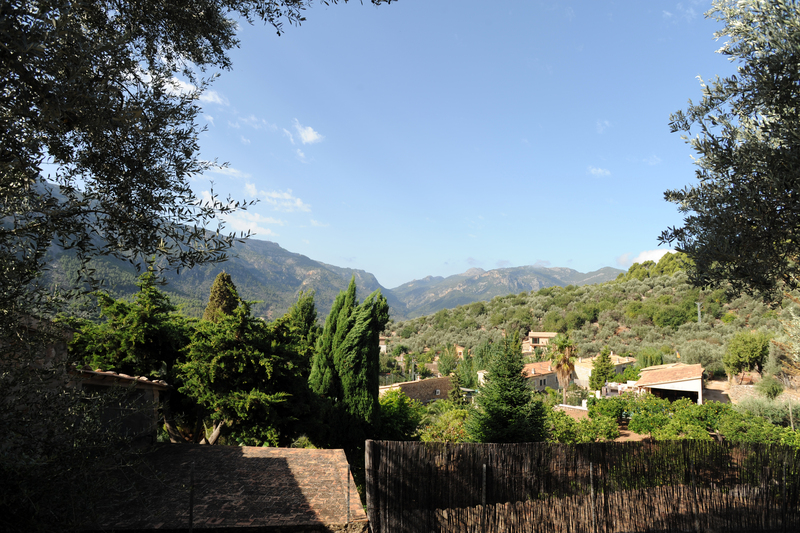 The Mirador de Ses Barques (400 m) offers a magnificent view over the bay of Port de Sóller. 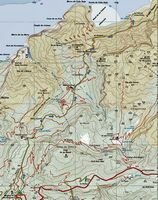 From the viewpoint a hiking trail can reach in 4:00 to 5:30 walk the heavenly Kill Creek, first take the old path of Balitx (Camí Vell de Balitx) on that winds along the cornice terraces of olive trees to the old farm of Upper Balitx (Balitx d’Amunt), then to that of Balitx Middle (Balitx d’En Mig), this ruined farmhouse remains a living testimony past, where you can walk in the middle of the old oil press, the flour mill and outbuildings where seasonal staying. 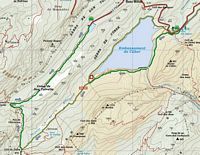 The trail then descends steeply to Lower Balitx (Balitx d’Avall), a fortified farm dating back to the sixteenth century, which today offers food and shelter in a bucolic setting. You can also enjoy fresh orange juice. 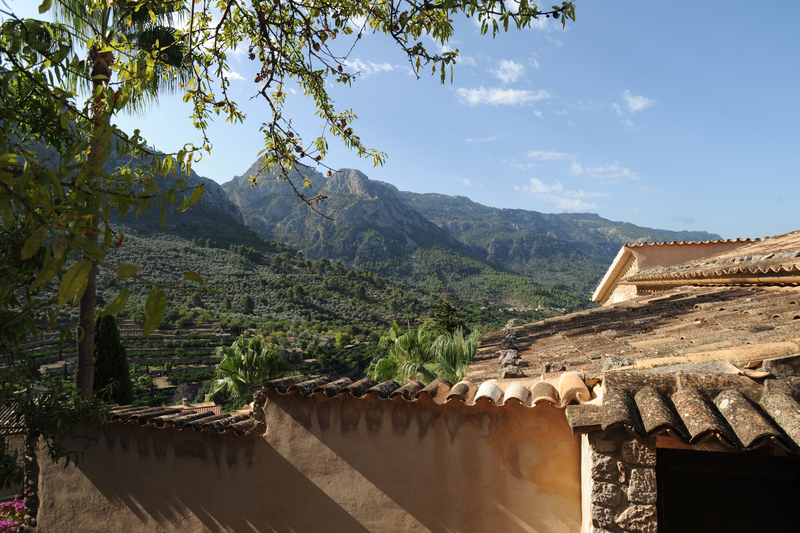 A feature of the house is its watchtower that was part of the defense system of the Majorcan coast against attacks by Barbary pirates. 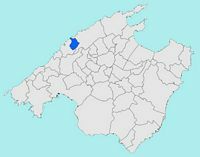 Reached Balitx d’Avall, it is possible to make a detour around the Na Seca, the tower of the island of Majorca located at the highest altitude (521 m). 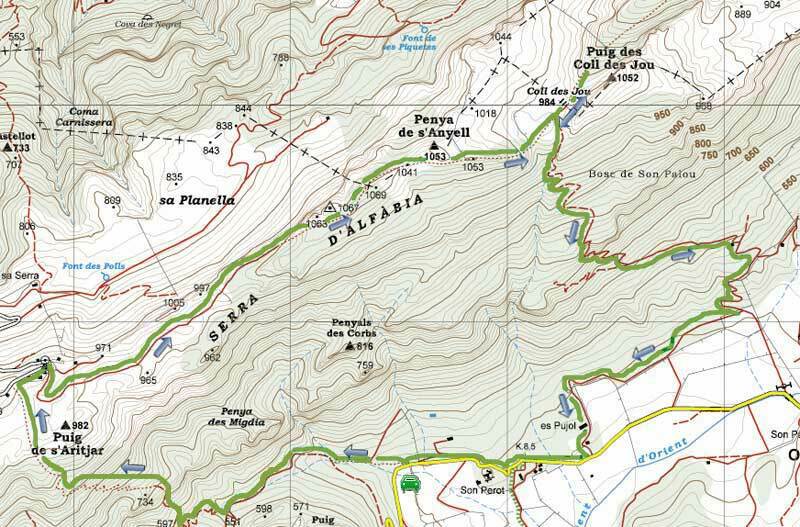 After Balitx d’Avall the steep descent continues to the valley of Balitx and the pass of Biniamar with its grove of oaks. 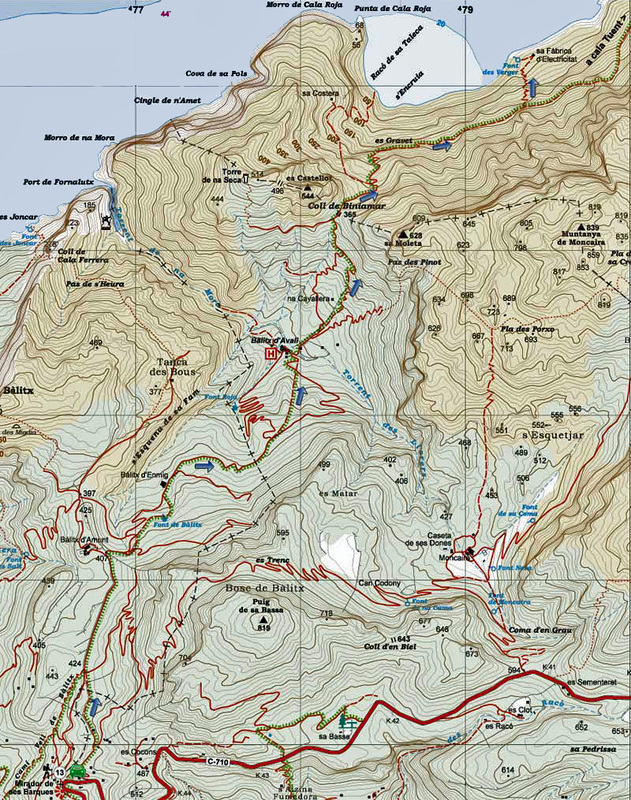 The trail offers spectacular views of the coast and then moved to the village of Sa Costera. 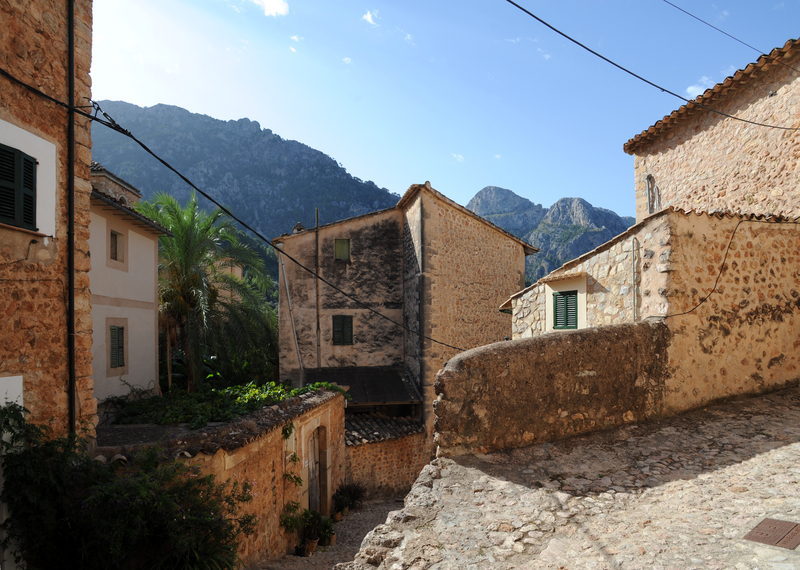 Thereafter, the road runs along the coast and passes near the hydroelectric plant, Sa Fabrica d’Electricitat, which provided electricity Sóller up in the 60s. 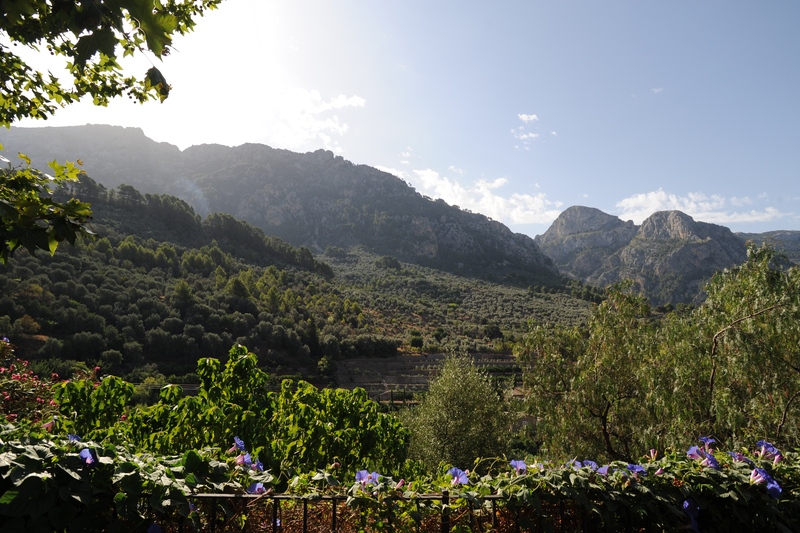 The water from the mountains, which was once used to generate electricity, is now led by subsea pipelines to Sóller and then redirected to Palma. 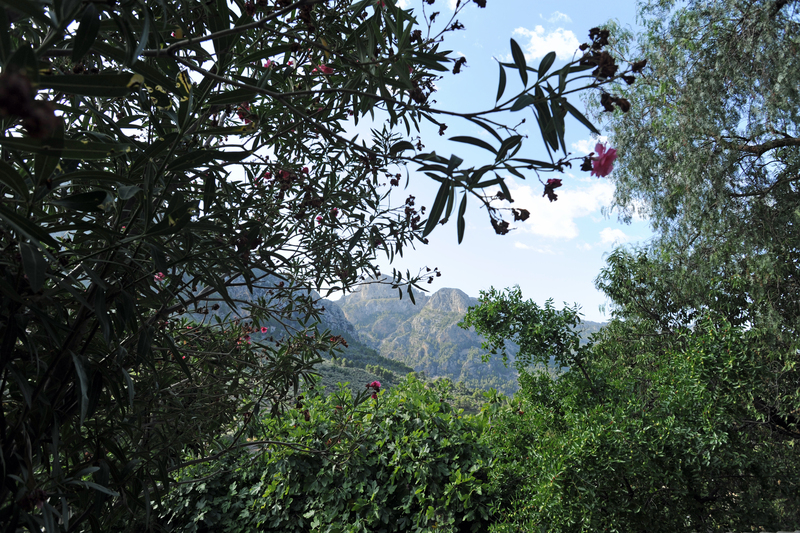 After an hour’s walk along the coast, the trail descends on the quiet cove of Cala Tuent bathed by emerald green waters. 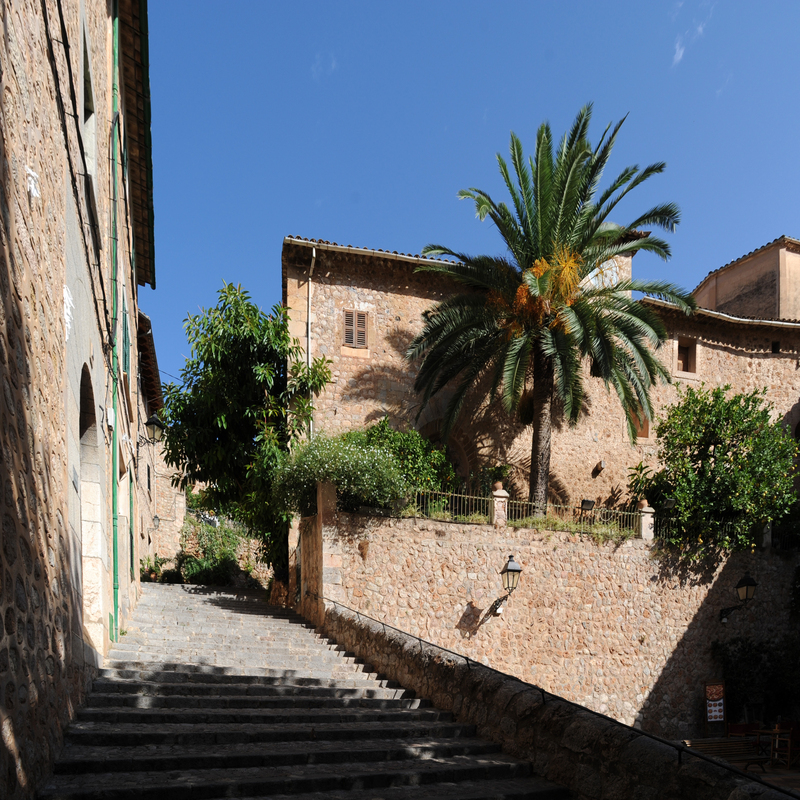 Since the cove Kill it is possible to return by boat to Port de Sóller. 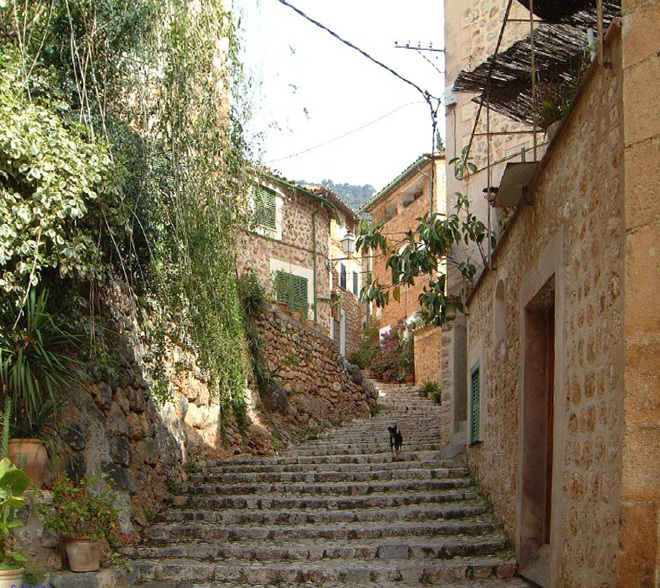 The history of Fornalutx was always linked to that of Sóller : the two towns were one and the same village until 1813, but in 1837 the two became constitutionally independent. 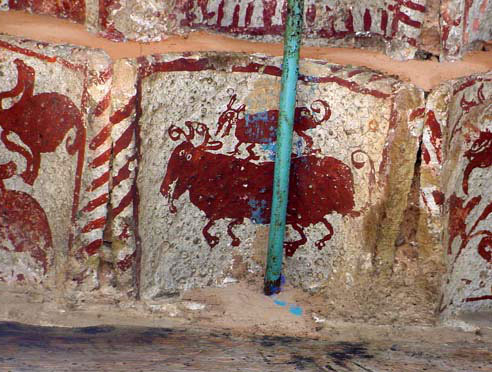 It celebrates a "Correbou" cattlemen lead a young bull through the village. 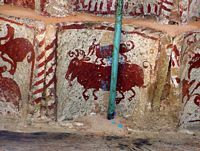 After being blessed, he is sacrificed and its meat is distributed among the people. 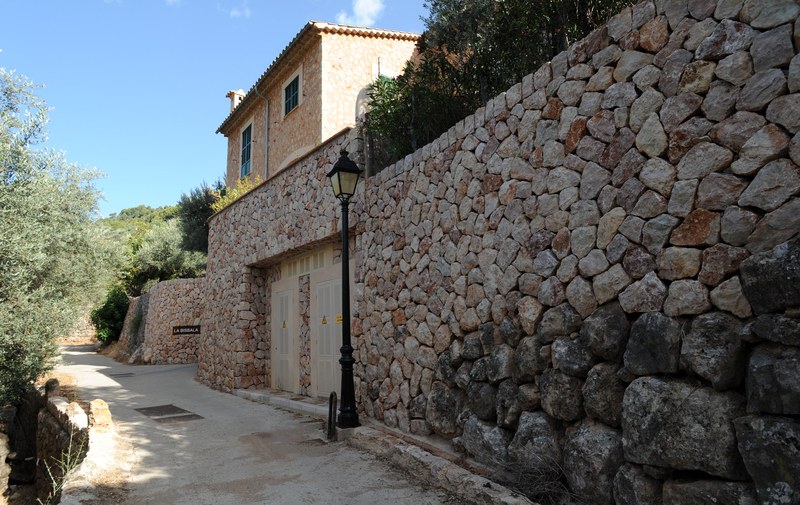 It is here that Claudia Schiffer is a sumptuous villa built it revealed partly in a French women’s magazine. 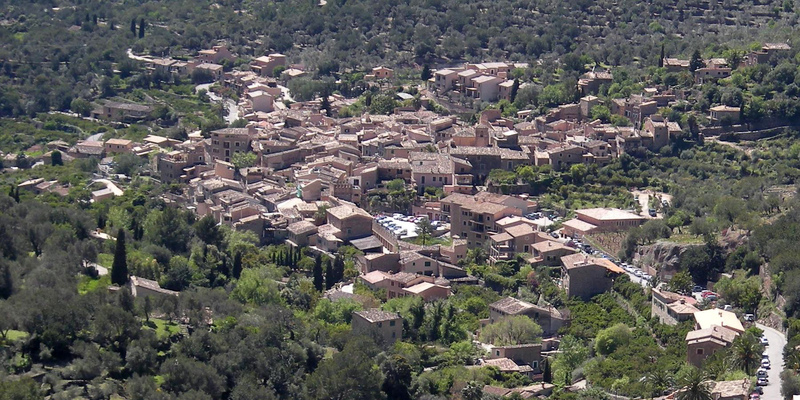 The customers of Fornalutx is relatively wealthy, if you can afford it, the hotel reservation offers some small corner of paradise.